Secure admission in advance and save time once you’re on Tenerife with this ticket to the Pyramids de Guimar Ethnographic Park. Travel independently to the east-coast park to view its six mysterious lava-stone pyramids, believed by many—including the park’s founder, Thor Heyerdahl—to be the work of ancient civilizations. 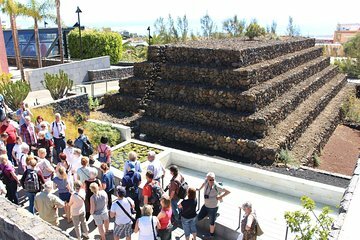 Uncover the theories behind the pyramids, visit the museum, and explore the themed gardens showcasing Tenerife’s exotic plants.